A brand new single which promotes Liverpool as a destination is set to be released on Cavern Records on November 19 at the world famous Cavern Club. 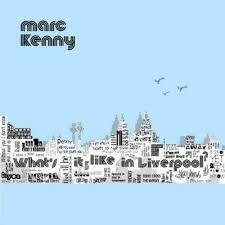 ‘What’s It Like In Liverpool’, written and recorded by Liverpool musician Marc Kenny, includes a music video which features many key Liverpool attractions including the UNESCO World Heritage site, The Albert Dock, The Cavern, The Beatles Story and Mersey Ferries. The video will receive its first public play to press and invited guests on the 19th at the Mathew Street cellar club. Marc recently performed his song to an international delegation from Visit Britain at the travel trade event VIBE that Liverpool hosted for the first time on October 15th. As a result, Visit Britain have asked to use the song to promote the forthcoming ExploreGB, which the city plays home to for the first time in March 2016 and will see over 300 international travel trade buyers descend on the city for the high profile tourism event. Marc will also be launching the single in New York on 26 November when it will get its first international play at The Liverpool Bar near Times Square just after the famous Thanksgiving Parade.